The following is insight to a program that Diane Rochford, the WOW Team and I hold dear to our hearts. It has been an adventure & an experience of a lifetime. 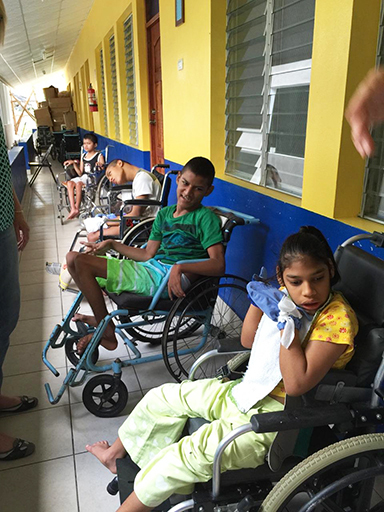 The Mustard Seed Communities opened an orphanage in Managua, Nicaragua (circa 2000) to assist the handicapped and/or mentally challenged children throughout Managua. It was a last resort for abandoned children. But there was another group equally desperate. A group comprised of 300 families mostly consisting of women and children living inside the city dump, La Chureca. From 2004 Mustard Seed had a feeding program within La Chureca, to aid the many desperately poor. This was only a temporary fix. La Chureca has since been closed but tremendous poverty still exists outside the dump. They say that if you give someone a fish you feed them for a day but if you give them a fishing pole you feed them for a lifetime. 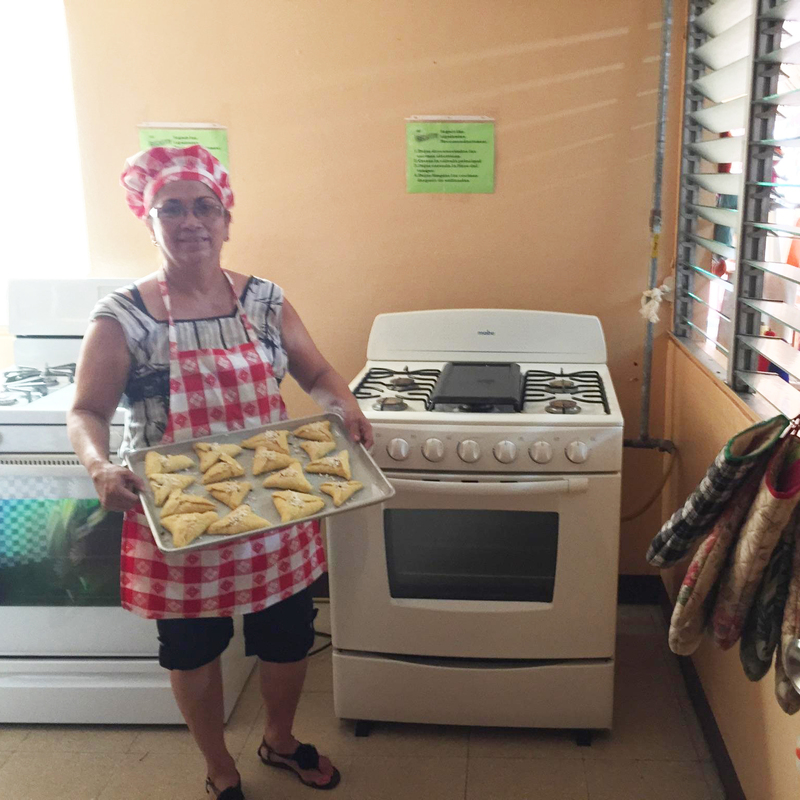 A volunteer daydreamed about an education center where women could learn to sew and thus help support her family. It takes Only a Mustard Seed! In 2006 a group of dedicated individuals found a vacant building, and after a week of renovations and sewing classes we had our first classroom. A teacher was hired before our departure to insure that the classes would continue. Fast forward 9 years … today this center has become a force with momentum, growing on its own. A new reality has unfolded where women can come to meet free of charge and learn to sew, tailor, alter clothing, and simply support one another in fellowship. Baking classes and English lessons have also been added to supplement the sewing curriculum. 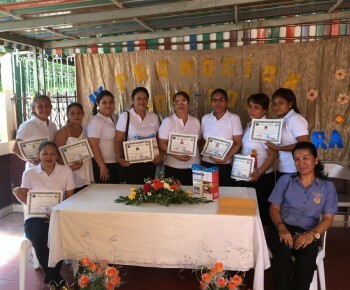 Upon graduation, the sewing graduates are given a sewing machine and the bakers are given a mixer. 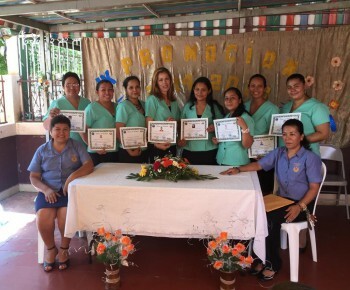 Our 9th graduation of yearlong curriculum program – Sewing & tailoring graduates, Baking graduates, and English language graduates. So, for the past 9 years Diane and I have gone down once a year, and sometimes twice a year to help bolster the programs growth. Mostly now the program runs itself and we come to celebrate the graduations each October. It’s been a joyful adventure. From the orphanage we have seen a small seed take root and blossom into many beautiful branches. In the Sewing Center We have witnessed women realize their self-worth, bloom with self-esteem and re-discover hope. Join us a one of the up coming Trunk Shows where “Rags 2 Bags” items will be on sale. more about Mustard Seed Communities. Please “Like” or comment if this Blog is helpful….. The city of Roswell is named after Roswell King who settled here around 1830. Roswell built a cotton mill and a plantation but the Civil War brought destruction as Sherman ordered the burning of the mill. The Smith Plantation home, Barrington Hall, , and Bulloch Hall still stand as testaments to the plantation era surviving the fires and now lovingly restored. Bulloch Hall is most notable as the childhood home of President Theodore Roosevelt’s mother … Mittie Bulloch. Let’s take a stroll downtown Roswell today. Bistros, art galleries, boutiques, and fine dining are enjoyed by both locals and tourists alike. Whatever your palette choice might be you can likely find it along Canton Street. 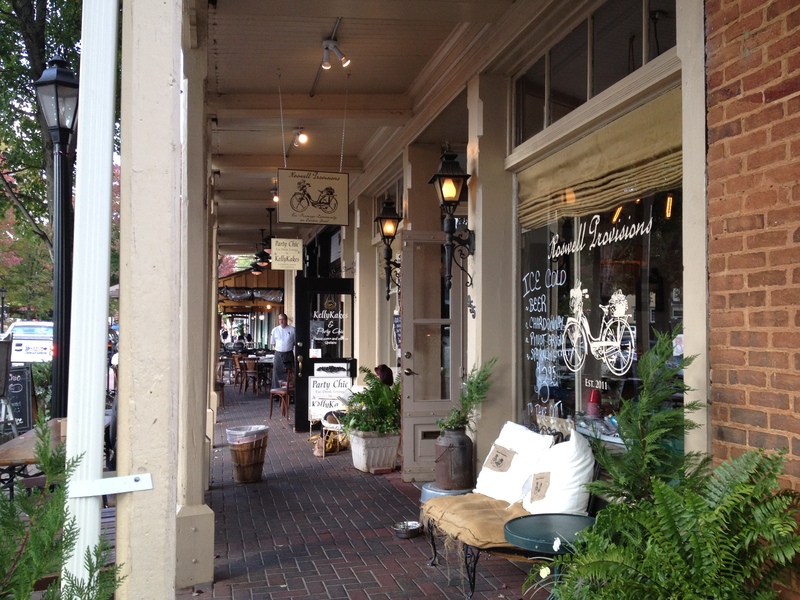 Stroll down Canton Street for Art Galleries, boutiques and fine dining ~ Roswell GA. 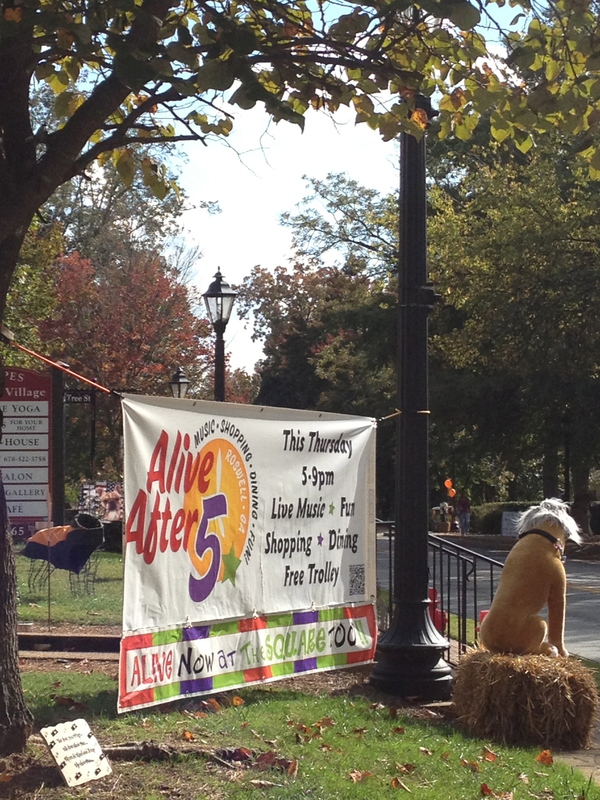 Alive After 5 festivities begins every 3rd Thursday from April to October. Come out to enjoy live music, free trolley rides, face painting, extended retail hours, and much more in historic Roswell. Looking for a good home in Roswell? Are you thinking of moving to the Atlanta vicinity? The city of Roswell has redeveloped much of the area to afford newer townhomes within an easy walk to downtown Roswell. But, if it is a single family home you most desire, you’ll have to act quickly as home within a few blocks of downtown Roswell are few and rarely become available. There is something for every price level. The corporate executive buyer might enjoy the country club developments or a private luxury gated estate. A first time buyer or move up buyer has plenty of opportunities to live in close proximity to the incredible Parks that Roswell provides. 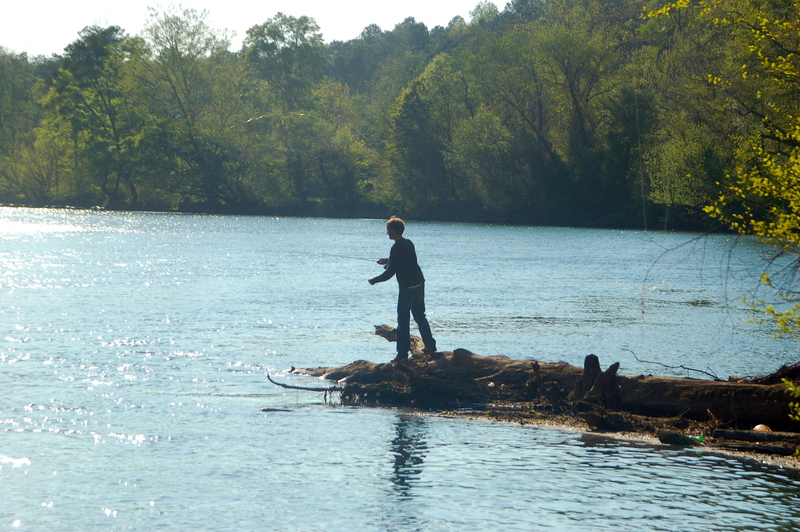 Miles of biking paths follow the Chattahoochee River corridor where weekenders pedal in tandem and families gather for a picnic in the park or raft the river on a hot summer day. There’s Frisbee Golf, mountain biking, water parks and dog parks. And of course there is the traditional baseball and soccer fields where tots and teens alike play ball yearlong as the temperatures are most often moderate. Quality of life and school excellence has swelled Roswell’s population in recent years to about 88,000. Roswell H.S. and Centennial HS serve the public sector while a multitude of private schools serve both special needs and church denominations. 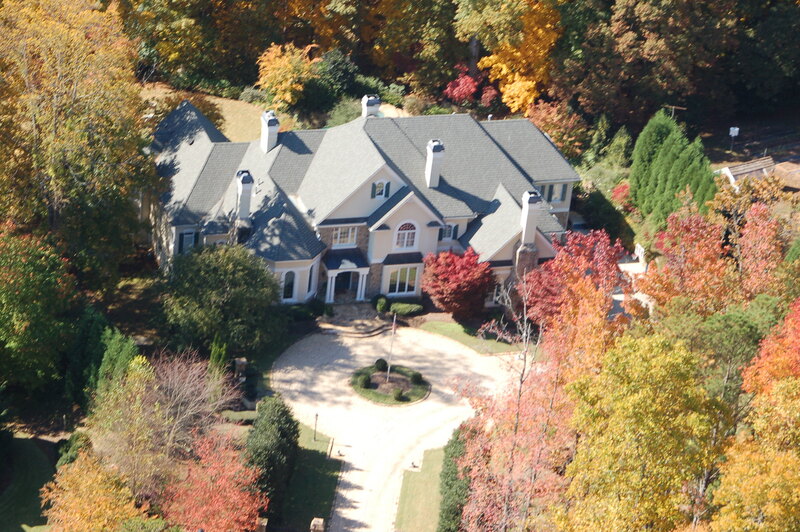 Historic Roswell is simply one of the most sought after areas of North Atlanta. Located just 10min. north of the 285 perimeter, housing is affordable, schools are good, and commute time to the airport is a manageable 40minutes in non-traffic hours. So arrange your schedule to leave between 6:30 -6:45am depending on your surface streets and you will experience an easy morning commute. Should We Fear the Shadow Inventory ? 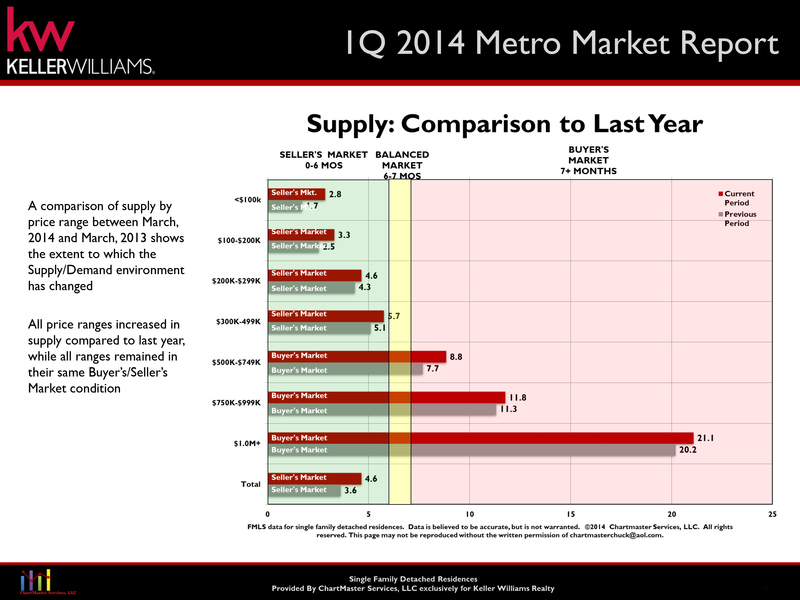 Predictions for housing in 2013 are bullish by most accounts. That sounds like a fair assessment when supplies are low and demand is up in most market areas such as in Atlanta GA.
Low inventory in good homes as well as geographic locations in close proximity to excellent schools drives housing desirability. Here in Atlanta GA we are seeing “school flight” increasing demands on the Decatur City schools, while the city of Atlanta figures out the redistricting. We see North Fulton and East Cobb county experiencing unusual demands on the low inventory, increasing the incidences of multiple offers on available “good homes”. 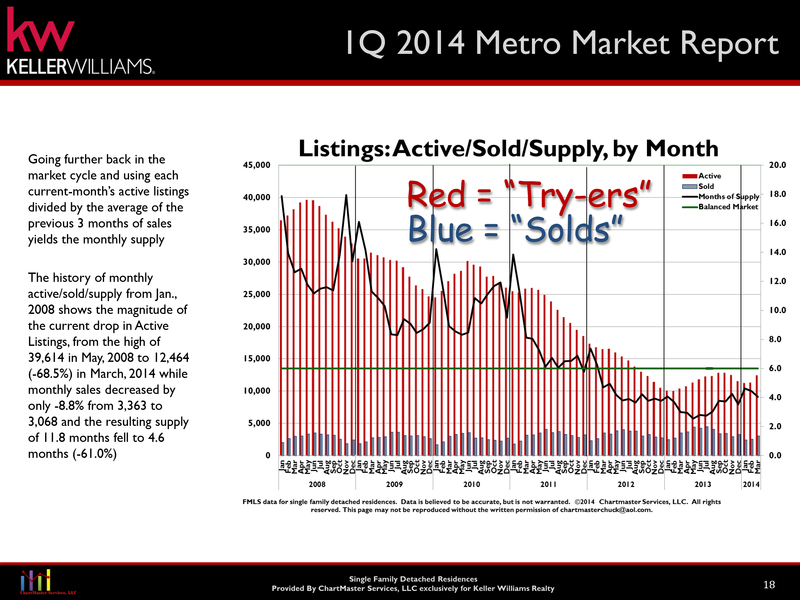 So what about the foreclosures and the short sale shadow inventories that haven’t hit the market yet? 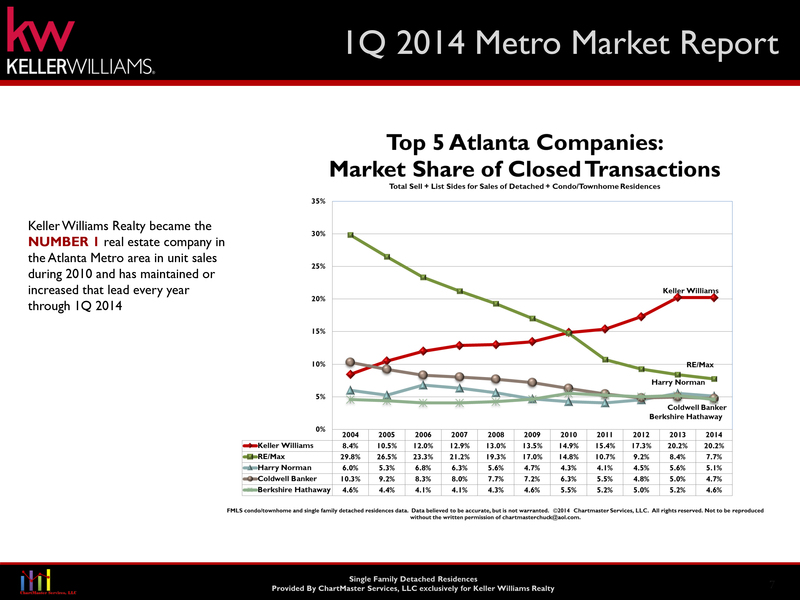 How will 2013 shape up for the housing market in Atlanta and the rest of the country. According the WSJ… the shadow inventory is overhyped as a housing threat. The shadow inventory is shrinking. As a residential real estate specialist here in Atlanta I personally see evidence of foreclosure homes being snapped up by the hearty investor appetite who are buying ‘to hold and rent’. Trimmed inventories and backlogs of investors are further reducing the discount of foreclosures due to competition. While Atlanta’s market has liberal foreclosure laws (GA. is a non judicial foreclosure state) other states may experience a more difficult transition due to court-administered foreclosure processes to clear bad debt. Where do you think we’ll be this time next year?! Will our rear view mirror look back on 2013 as the year housing leaps forward or will the shadow inventory dampen our enthusiasm for the housing rebound? 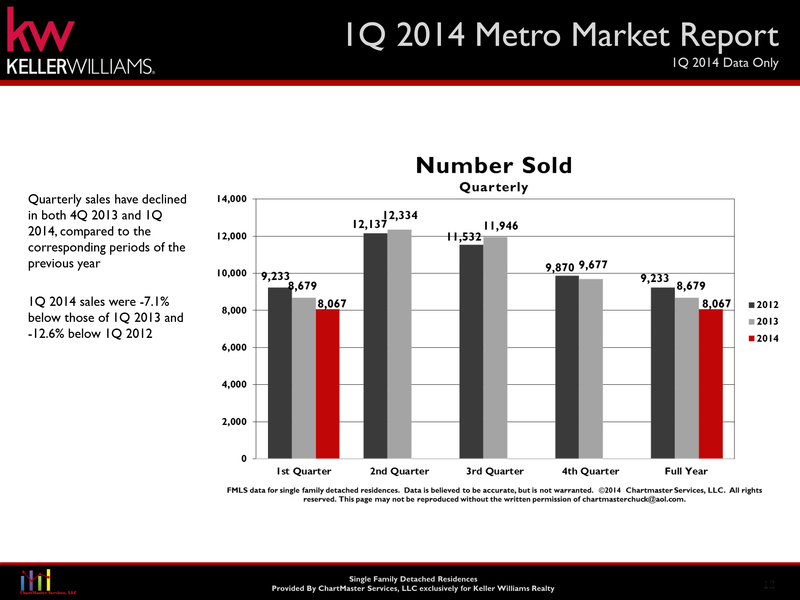 My optimism tells me 2013 will be a banner year for most of us… most especially in our Atlanta market. Don’t let the possible shadow inventory dampen your spirits! Instead raise a toast to new beginnings… and let the New Year begin!! May your 2013 be prosperous and filled with Joy! 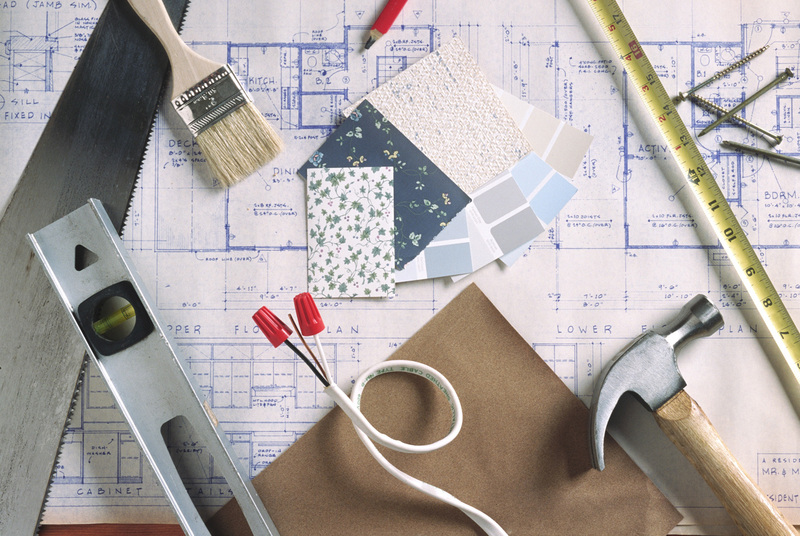 Looking to update your home but don’t have the money for a huge renovation? There are several budget friendly ways to bring those outdated rooms out of the dark ages. Not only will updating provide you with more enjoyment of your home, it can significantly increase its value as well. There are two areas of your home you need to keep in mind when planning on updating- the kitchen and bathrooms. A remodeled kitchen and bathroom can add 75%-100% to a home’s return on investment (ROI). Not only do these rooms have the highest return on investment, they can also decrease the amount of time your home is on the market. The kitchen is considered the heart of the home, which is why it is a significant selling point to future buyers. Some easy ways to update this room include replacing the kitchen faucet and adding new cabinet door hardware. Update old, harsh florescent lighting fixtures with hanging lights above work areas, recessed lighting, and energy-efficient dimmers. If your appliances don’t match you can try ordering new doors or face panels from the manufacturer or upgrading to new energy efficient appliances. If the flooring is outdated, install hardwood or tile flooring to give it a facelift. Painting or re-facing old cabinets can make a huge difference at minimal cost. Also if it is in your budget, replace the countertop with natural stone. Putting up a simple back splash and a fresh coat of paint can nicely complement your other updates. Renovating an existing bathroom can definitely add value to your home. This room can get a lot of wear and tear from all the moisture present that can cause fixtures to age rapidly. Update lighting, faucet sets and replace the showerhead to liven up your old bath decor. Make sure the new hardware is all the same metal finish to tie the room together. Resurfacing the current vanity cabinets, or even installing a new pedestal sink, can completely change the look of the room. Replace old discolored flooring with fresh vinyl or tile. Re-grouting tub and showers and replacing any chipped tiles will make the room feel cleaner and brighter. Replace a lackluster mirror with a framed decorative one that the complements to room or add your own frame to the current mirror by gluing molding around the edges. Lastly, paint the room a bright, neutral color that reflects light so that the room looks larger. So if you are either updating your home because you plan on being there for many years to come or you are looking to sell, these rooms will provide the best return on investment and give a new feel to your home. When news broke about the possible creation of the city of Brookhaven, I was excited to live in the new city limits if the referendum were to pass. 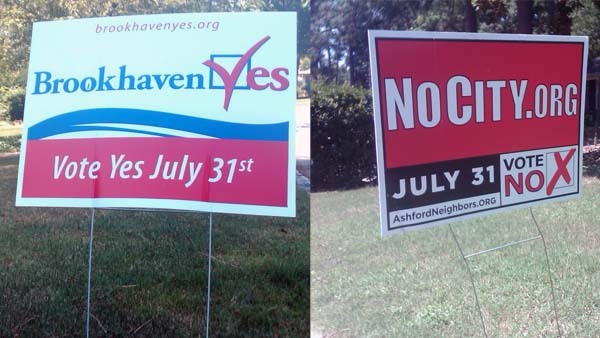 Immediately support signs for the proposed measure began popping up in neighbors’ yards along with ones that urged voters to reject a new layer of city government. I thought there could be many benefits to having a new city, especially the authority to form a local police department. The idea of local control sounded great to me, so I was curious why there was such opposition to this proposal. It seems some of the concern stems from the fact that two very prominent neighborhoods within the city would be split up, Ashford Park and Historic Brookhaven (around Capital City Country Club). Part of Ashford is already annexed into Chamblee and now the other part is included in the new city of Brookhaven. Residents feel that an effort should be made to keep the neighborhood whole. 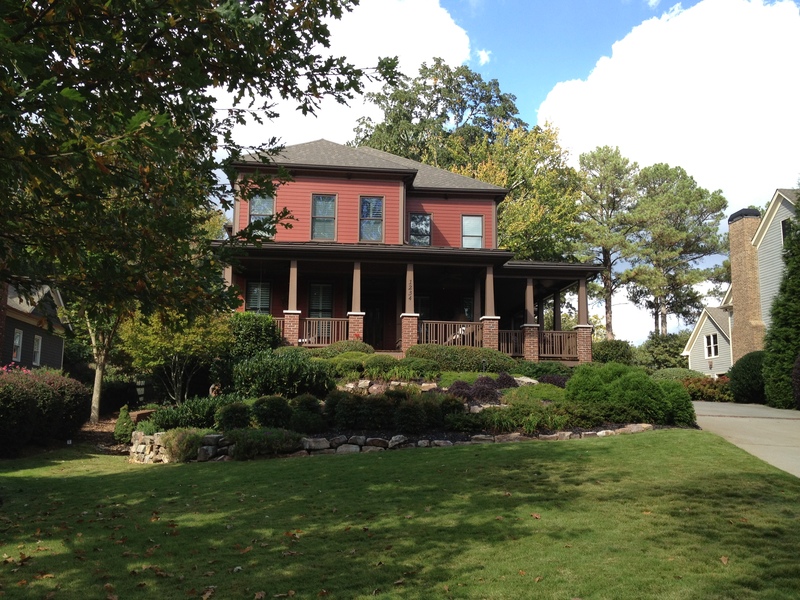 The Historic Brookhaven neighborhood is approximately 2/3 Fulton County and 1/3 DeKalb County. The residents main concern was using the name Brookhaven to define the city, a name that has been isolated to their neighborhood in the past. Opponents to the new city are saying there is not enough commercial property in the city to generate enough money to support the services provided by the city, namely the police force. They claim the new budget only allows for 53 police officers for over 49,000 citizens. However, the new city will only encompass a little less than 12 square miles and the current Dekalb County North Precinct is approximately 24 square miles. In my personal experience, I see City of Chamblee and Dunwoody police officers patrolling their precincts more often than DeKalb County officers. It also seems that crime in the area has increased in the past year and we need to concentrate more officers in these problem areas to reduce criminal activity. I believe the new city of Brookhaven will have the police protection it needs as well as better service and faster response times. There are also the issues surrounding budget and taxes. Proponents are saying there will be a tax cut as well as a milage cap. The milage rate that goes to the city would be capped at 3.35 mils (down from 6.39 mils) and cannot be raised by the city except through a voter referendum. Opponents don’t trust the budget numbers that have been provided and believe that other fees, like franchise fees on certain utilities, may mean in the end that homeowners will be paying more. There really is no way to know who is right until the city has elected its officials and starts running operations. Some additional positives to the new city that stand out to me are having a stronger voice in a local municipality, lower taxes, more efficiency, improved parks and a concerted effort to revitalize the corridor along Buford Highway. When it came time to vote on July 31, 2011, the results were very close. Voters approved the measure by a 55% – 45% margin. I am optimistic that the pros of having a new city will outweigh the cons. The new city of Brookhaven will assume operations at 12:01 a.m. on Dec. 17, 2012. All DeKalb ordinances will remain in effect until Brookhaven’s mayor and city council choose to change them.